If you have followed my twitter over the past days you could probably see that I was " a bit " excited about the Amsterdam Style competition. 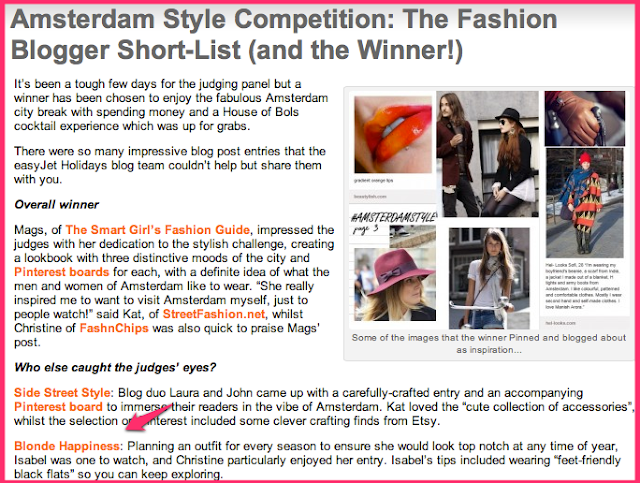 Unfortunately I didn´t win the trip ( super sad face ) but I think Mags of http://www.thesmartgirlstravelguide.com win was well deserved. At least I got shortlisted and my next trip is planned anyways.